If there are members of your family prone to wandering, it is important to have alarms on the doors and windows so you are alerted if they leave. The issue is the range. It is even more dangerous to believe you have the doors alarmed and then to move out of range so you never receive the warning for you will not be on your guard. Your loved one could be out the door and down the road and you wouldn't even know it. 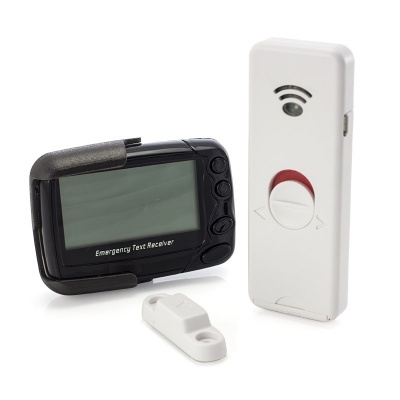 With the Long Range Door Alarm Transmitter with POCSAG Pager, you do not have to worry about that. 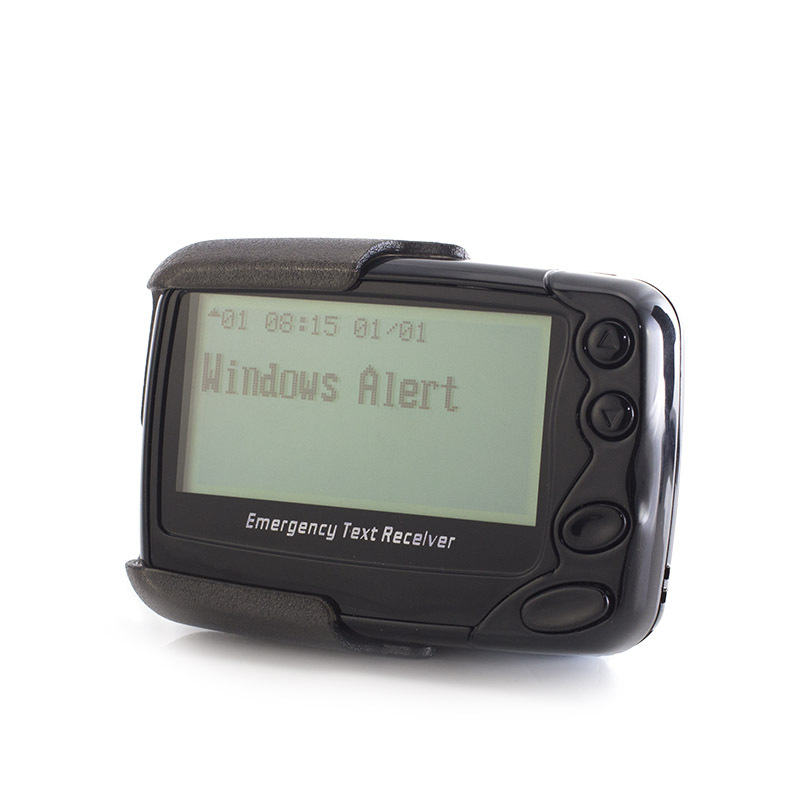 With a range of up to 400m, the transmitter sends a personalised message to the pager, informing you not only that a door has opened, but which door it is. This means you can be alerted swiftly to precisely which exit point has been used and react accordingly. The long range not only extends the distance but makes it more beneficial in buildings with thick walls or other levels of interference. 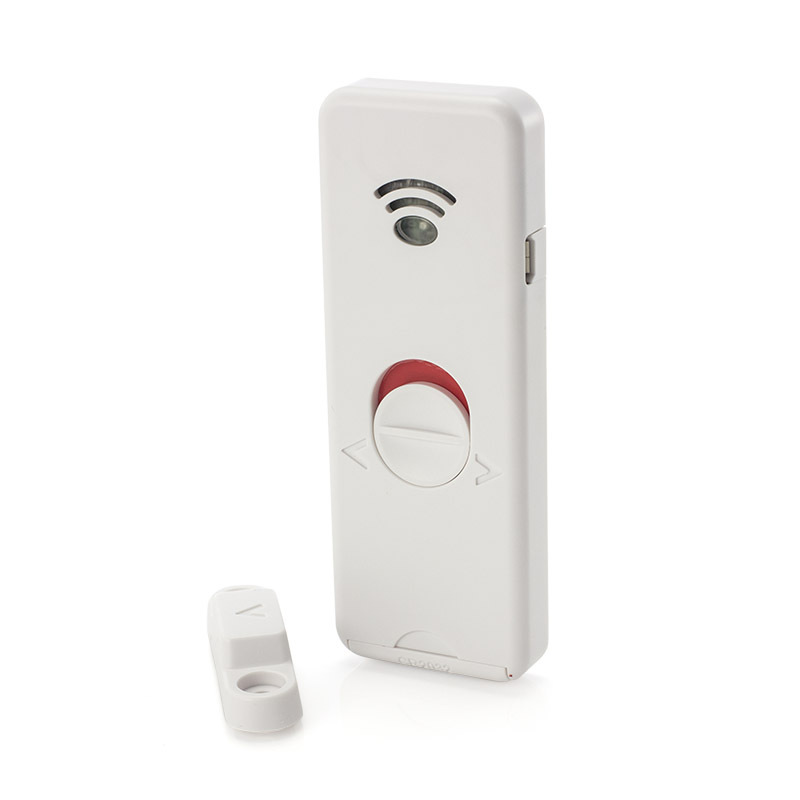 The compact transmitter is simple to use due to only an on/off switch being present. There are marks on both the transmitter and the magnet to indicate how they should be lined up. The ideal positioning is to have the magnet on the door and the transmitter on the door-frame so it is not damaged through the opening and closing of the door. However, individual situations must be taken into account and it should be positioned in the best place for you. The transmitter is powered by a 3V Lithium battery. Please Note: Message personalisation can only be done with us, to order your transmitter with a pre-programmed message, please call us on 020 7720 2266. 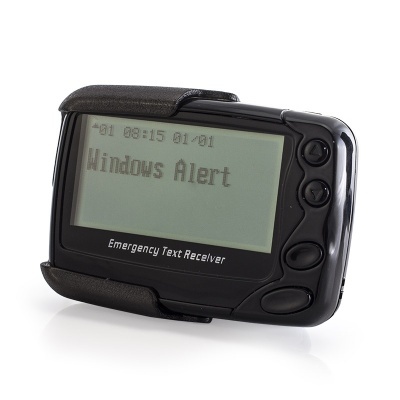 The default pre-programmed message is "Door Alarm".